The Alpine Public Library’s biggest fundraiser of the year is a silent auction held at Galería Sibley, 103 W Holland Avenue, during Alpine’s ArtWalk Gallery Night weekend in November. We need the help of volunteers like you to pull it off! Please let us know if you are willing to help! *The auction is supported by the ArtWalk Board as an official ArtWalk event and Galería Sibley graciously donates the space. *Friends of the Library, Library board members, many other volunteers, local business sponsors, and library staff make the event happen. 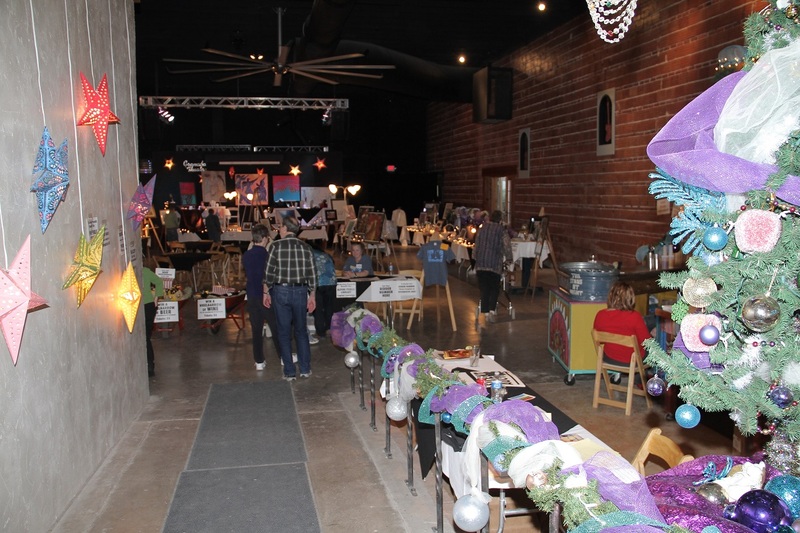 *Artists and others donate artwork, jewelry, gift baskets, handmade craft items, and other unique and valuable items, and specify the retail price. *Minimum bid is typically 30% of the retail value. Donors may specify a reserve bid amount (i.e., if the reserve is not met, the item returns to the donor—not the highest bidder). *There will be two drawings during the auction: one wheelbarrow full of wine, and one filled with beer. *APL is a 501(c)(3) nonprofit organization and complies with all state and federal laws regulating fundraising by nonprofits. *Volunteers will begin contacting local and regional supporters very soon to request and procure donations. *All proceeds benefit library operations.